"You have found favor with God." (Luke 1: 30). Today is the 4th Sunday of Advent. It is also Christmas Eve and the end of the Advent Season. Christmas Season begins tonight. 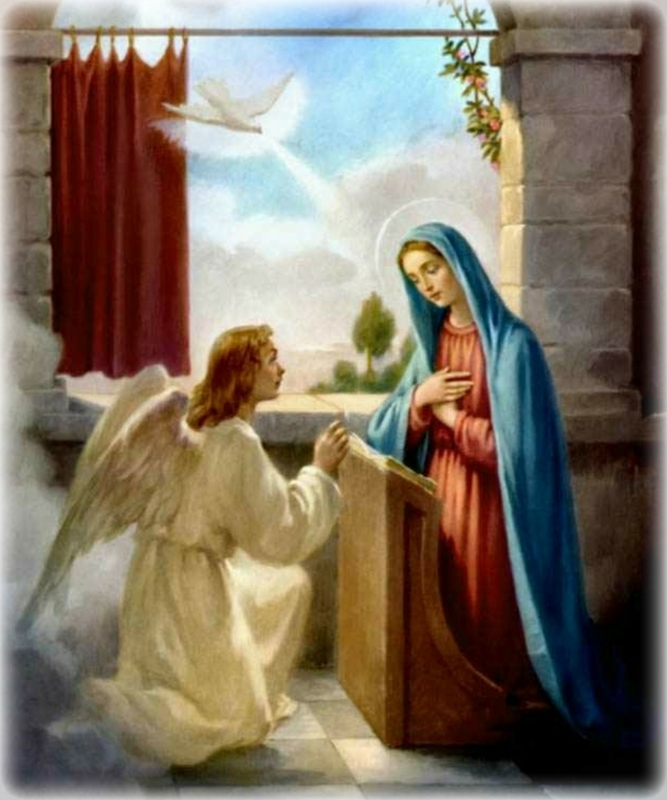 The Archangel Gabriel told Mary: "You have found favor with God." (Luke 1: 30). I hope you too have found favor with God after 4 weeks of preparation for this great feast. Mary, the Virgin Mother of Jesus. 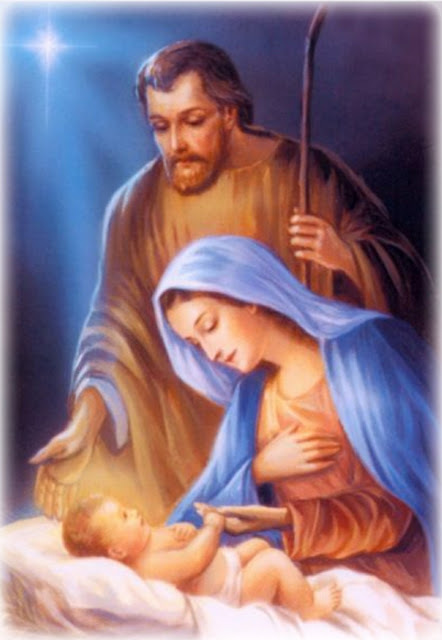 Joseph, the silent, faithful and obedient husband of Mary. St John the Baptist, the single-minded, humble and courageous precursor of Jesus the Messiah. Isaiah the prophet, who prophesied about the Messiah as no other prophet did. The time of waiting is now over. 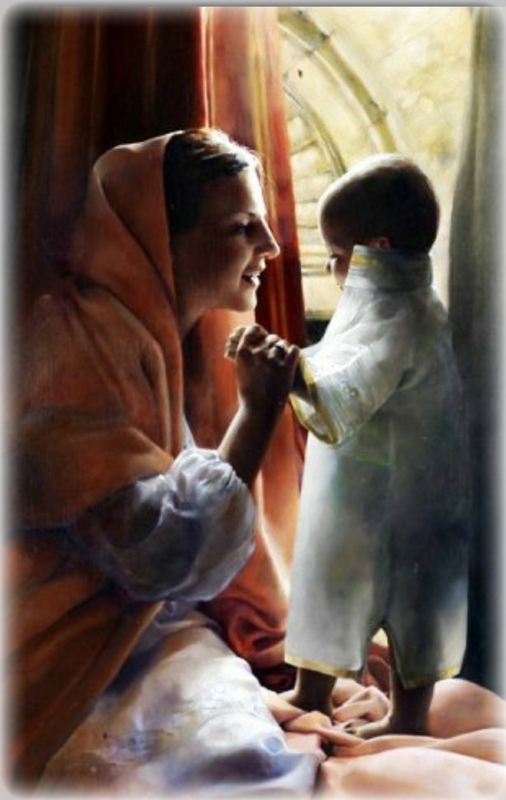 As we welcome the Christ Child at Midnight Sunday, let us rejoice and be convinced that our God has truly come to save us and that He is indeed Emmanuel, the God who is with us. When Jesus knocks at the door of your heart on Christmas day, what will be your response. 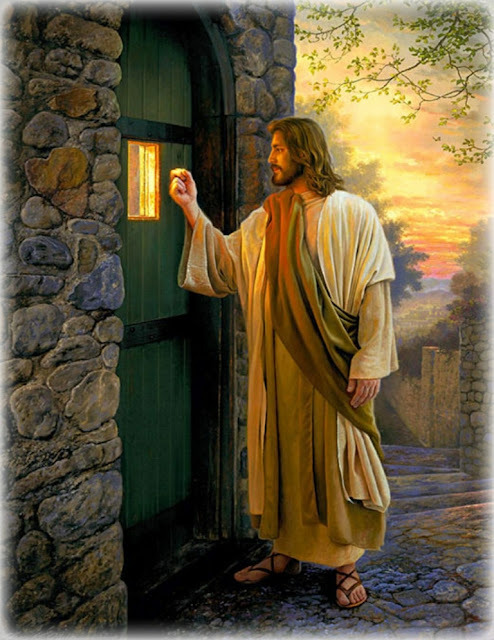 “Behold, I stand at the door and knock. 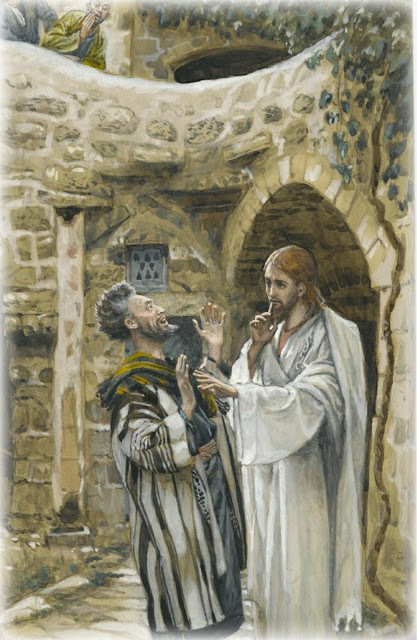 If anyone hears my voice and opens the door, [then] I will enter his house and dine with him, and he with me." (Revelation 3: 20). These are the words of Jesus to John in a vision in the Book of Revelation. What do you think of these incredible words? What is your response? In a few days, we celebrate Christmas. 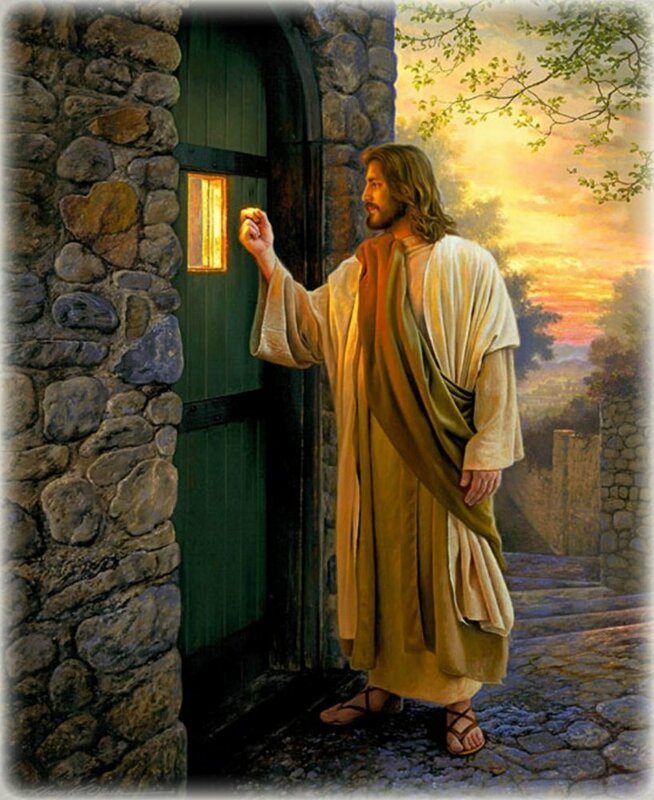 Jesus will be standing at the door of your heart begging you to let Him in. Decide in advance how to respond. "O King of all nations and keystone of the Church; come and save man, whom you formed from the dust!" (Gospel Acclamation, Saturday before Christmas). Hannah prayed for a son and the Lord gave her Samuel. "I prayed for this child, and the Lord has granted me what I asked of him." (1 Samuel 1: 27). This is the testimony of Hannah, the mother of Samuel to the high priest Eli. Hannah is one of my favorite Bible characters. Why? She has an incredible spirit of gratitude. “The bows of the mighty are broken, while the tottering gird on strength. The well-fed hire themselves out for bread, while the hungry batten on spoil. 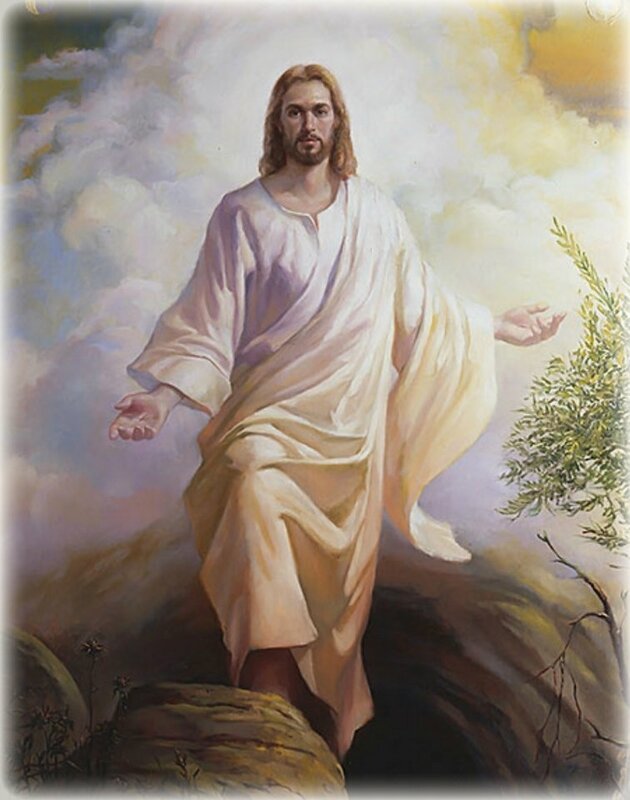 “The LORD puts to death and gives life he casts down to the nether world; he raises up again. To seat them with nobles and make a glorious throne their heritage.” (1 Samuel 2:1, 4-5, 6-7, 8). Everything you need to affirm you, to give you the consolation of the truth from the Scriptures is here in the hymn of Hannah. "O King of all nations and keystone of the Church: come and save man, whom you formed from the dust!" (Gospel Acclamation, Friday 3rd Week of Advent). How do you handle the inspiration and ideas dropped into your mind by the Holy Spirit? "Blessed are you who believed that what was spoken to you by the Lord would be fulfilled.” (Luke 1: 45). 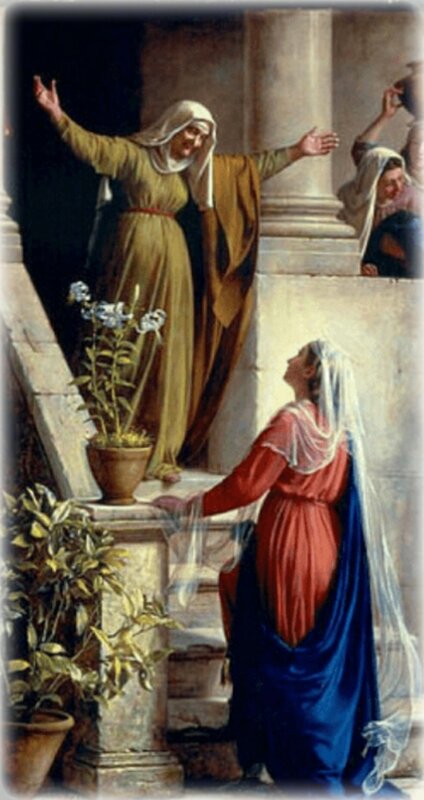 Mary could have disbelieved the message of the Archangel Gabriel. But she chose to believe. And for this, Elizabeth filled with the Holy Spirit pronounced her blessed. Whenever God wants to do a big thing in my life, the first thing He does is give me the faith to believe that the project can be done. As a high school teacher, I suddenly conceived an idea to go to London to do graduate studies. I had no scholarship nor money. But mysteriously, I believed I could do it. The mission was accomplished. At one time, I had the desire to buy a land and build a home in the city I was living. Again I had no money but mysteriously believed it was possible. To make a long story short, the project was accomplished on time. Make no mistake about it. Both the inspiration and power came from God. I did not know it at the time. But I knew it was not the power of positive thinking. Scripture pronounces blessed he who believes that what was spoken to him by the Lord would be fulfilled. How about you? How many inspirations and ideas have you lost through unbelief? Ask the Lord to give you the gift of Faith. "O Emmanuel, our King and Giver of Law: come to save us, Lord our God!" (Gospel Acclamation, Thursday 3rd Week in Advent). Mary prepared herself through Prayer and Scripture to receive the message of God. + Mary, do not be afraid, you have won God's favor. + The Holy Spirit will come upon you, and the power of the Most High will cover you with its shadow. + For God's promises can never fail. 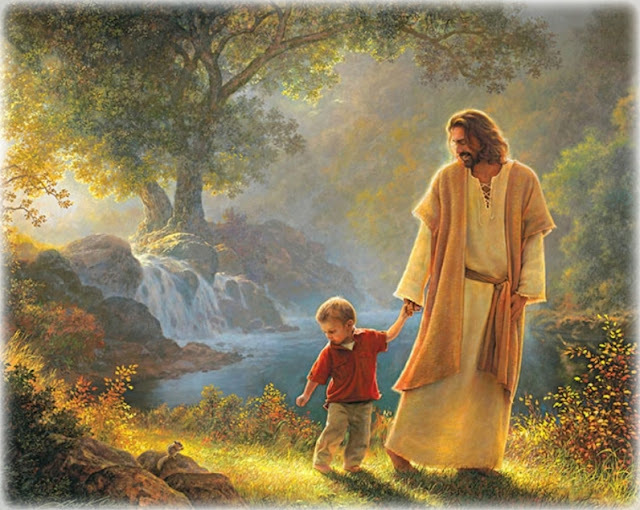 + You see before you the Lord's servant, let it happen to me as you have said. "O Key of David, opening the gates of God’s eternal Kingdom: come and free the prisoners of darkness!" (Gospel Acclamation, Wednesday 3rd Week of Advent). Abba Father, remove our barrenness. "There was a certain man from Zorah, of the clan of the Danites, whose name was Manoah. His wife was barren and had borne no children." (Judges 13: 2 - 3). Barrenness is the theme the Holy Spirit appears to give the Church today to chew and digest in this Tuesday of the final Week in Advent. The scriptures come from Judges 13: 2-7, 24-25 and Luke 1: 5-25. I sense the Lord asking me: "What fruits have you produced for my Kingdom?" Tough question. Abba Father, in Your mercy, take away all barrenness and bitterness from our hearts and make us fruitful so that we can glorify Your Name. Amen. Come to save us without delay!" (Gospel Acclamation for Today). Lord Jesus, prepare our hearts to experience Your presence this Christmas. But Jesus is also God in us and God for us. At a moment of great crisis many years ago, I was inspired to read Exodus 14: 13-14. I did and realized that God was with me. I became calm and peaceful convinced that God would help me. God is the Unseen Actor. He wanted me to be a spectator. I overcame my fears and triumphed in the crisis. Just as I experienced Emmanuel on that unforgettable occasion, you too can experience Him anytime you wish. How? You can experience Emmanuel when you receive the Eucharist or when you sit quietly before the Blessed Sacrament and exercise your faith in His promise. You can experience Jesus when you pray or when you read the word. Again it is very important to consciously affirm your trust in the promise He made to be always with you. We can experience God when we read devout books. When you pray, you speak to God. When you read, God speaks to you. (St Vincent de Paul). How awesome it will be for you and me to know with certainty that Jesus, God-with-us is indeed with us. Consider for a moment what this will mean for you. Awareness of His mysterious presence conquers fear, worry and doubts. If Jesus is with you, then all is well; all is accomplished. "Father, help us to keep in mind that Christ our Savior lives with you in glory and promised to be with us until the end of time….." (Collect in the 7th Sunday of Easter). come to rescue us with your mighty power!" (Gospel Acclamation, Monday 3rd Week of Advent). Rejoice, Pray and Give Thanks Always, Everywhere in Everything. "Rejoice always. Pray without ceasing. In all circumstances give thanks, for this is the will of God for you in Christ Jesus." (1 Thessalonians 5: 16 - 18). Third Sunday in Advent. Gaudate Sunday. The Scriptures urge us to overflow with joy because Christ Jesus our Lord is almost here. These three things are Key to the mystery of the Christian life. Why rejoice, pray and be thankful always, everywhere and in everything? "And we know that God causes everything to work together for the good of those who love God and are called according to his purpose for them." (Romans 8: 28 NLT). What do you say to that? "God is in control" is not just a mere platitude but a profound theology. "Dear brothers and sisters, when troubles of any kind come your way, consider it an opportunity for great joy. For you know that when your faith is tested, your endurance has a chance to grow. So let it grow, for when your endurance is fully developed, you will be perfect and complete, needing nothing." (James 1: 2 - 4). With divine recompense he comes to save you." (Isaiah 35: 4). Behold the Lord is coming in splendor to visit His people with peace. “Elijah will indeed come and restore all things; but I tell you that Elijah has already come, and they did not recognize him but did to him whatever they pleased." (Matthew 17: 11 - 12). Elijah the great prophet came back in the persona of John the Baptist to prepare the way of the Lord, to make straight His paths and people did not recognize the hour or the opportunity. Although he appeared like a fire whose words were as a flaming furnace, yet people took little notice. The noise in the world was too loud and impenetrable for the message of salvation. This is Advent, less than ten days to Christmas. Arise from your sleep. Do not allow Christmas shopping and any other frenzied activities to obscure the true meaning of the Season. The Lord is surely coming in splendor to visit His people. Prepare to welcome Him. “To what shall I compare this generation? It is like children who sit in marketplaces and call to one another, ‘We played the flute for you, but you did not dance, we sang a dirge but you did not mourn." (Matthew 11: 16 - 17). Who can please the world? Nobody. Stop trying. It is far easier to please God than to please the world. God looks at your heart and your goodwill and makes excuses for your weakness. 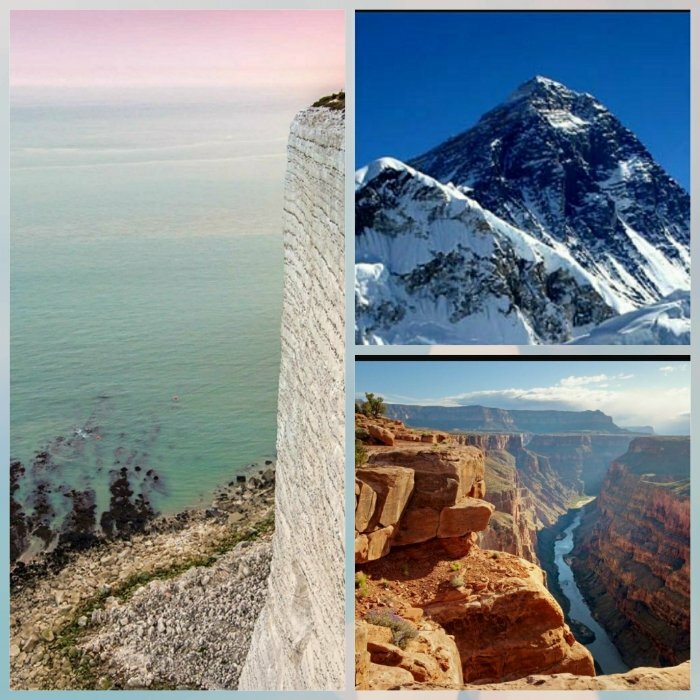 The world is capricious and erratic and expects you to be a winner 100% of the time for 100% of the people. Impossible you would say. So, what do you do? Aim at pleasing God. It is easier and less complicated. At least you have a Manual (Bible) to check what God wants of you. Fear, worry and doubts are not from God. God Never Fails! "Fear is useless; what is needed is trust." (Luke 8: 50). 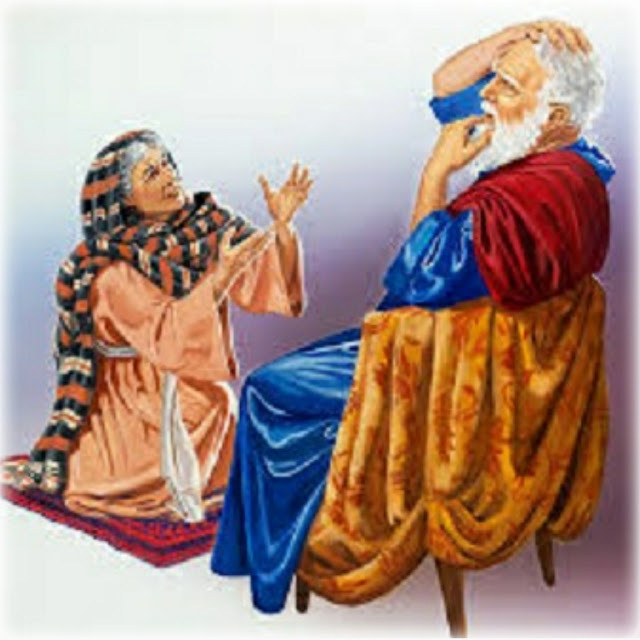 "Why would you ever complain, O Jacob, or, whine, Israel, saying, "God has lost track of me. He doesn't care what happens to me"? Don't you know anything? Haven't you been listening?" "God doesn't come and go. God lasts. He's Creator of all you can see or imagine. He doesn't get tired out, doesn't pause to catch his breath. And he knows everything, inside and out. He energizes those who get tired, gives fresh strength to dropouts. For even young people tire and drop out, young folk in their prime stumble and fall. But those who wait upon God get fresh strength. 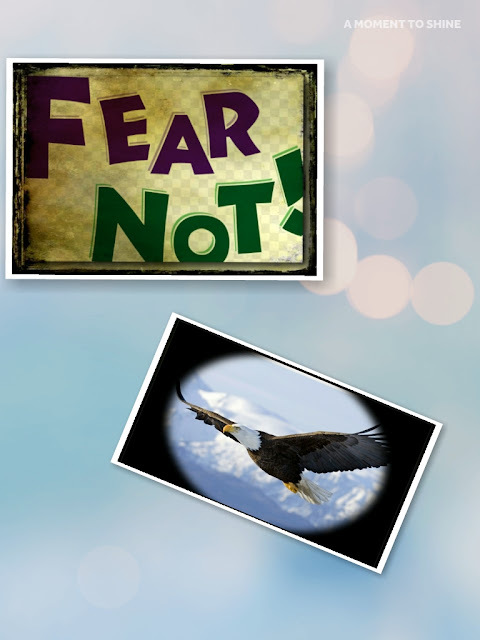 They spread their wings and soar like eagles, They run and don't get tired, they walk and don't lag behind." Wait on God’s answer; wait for His help. Come to Me all you who need rest and peace. 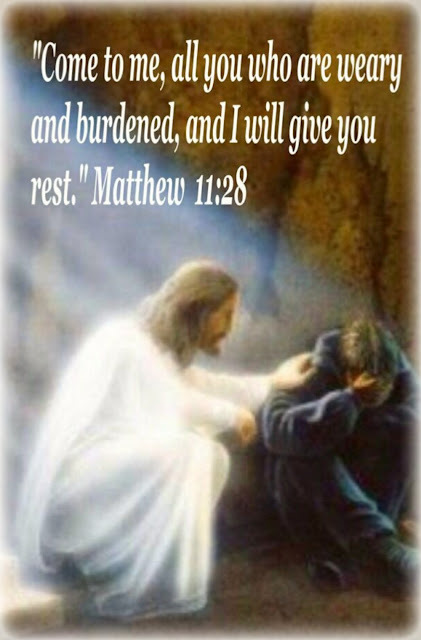 “Come to me, all you who are weary and burdened, and I will give you rest. Take my yoke upon you and learn from me, for I am gentle and humble in heart, and you will find rest for your souls. For my yoke is easy and my burden is light.” (Matthew 11 - 28 - 30). Gracious invitation from Christ. But how do we come to Christ? We come to Christ in prayer, in His word, and when we encounter the poor. We come to Jesus especially in the Sacraments of the Eucharist and Penance. 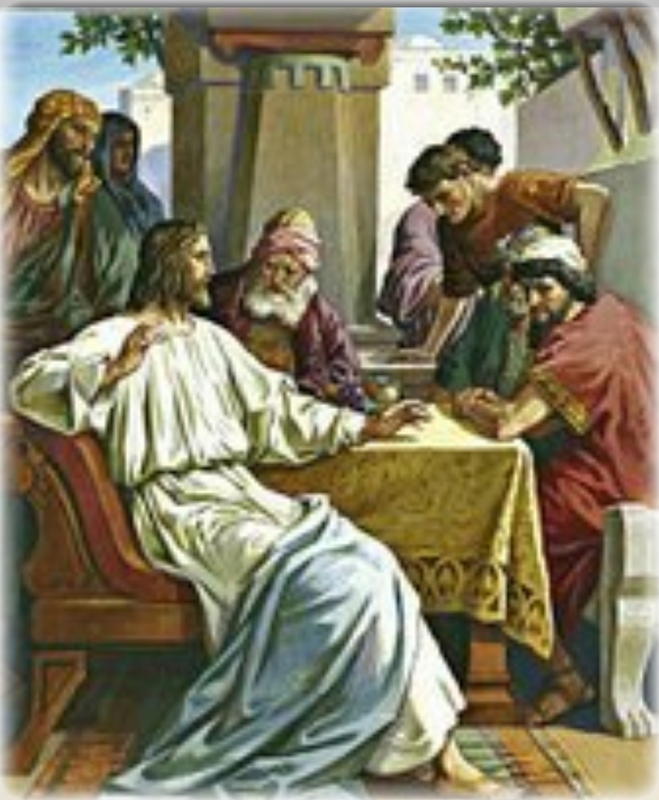 What are the labors and burdens that we bring to Christ the Doctor to heal? First, we bring our burdens of sin. We are overwhelmed with fears, worries and doubts about our health, family, finances, job, tools, food and the future. We bring all these to Jesus. How does Christ give us the promised rest? He cancels our debts of sins and relieves us once and for all from guilt. Sometimes He heals our bodies and finances. At other times, He gives us a supernatural perspective from which to view our woes. You may call this indepth perspective therapy. People go to the Shrines of Our Lady of Lourdes in France and Guadalupe in Mexico for physical healing. Many such people receive the indepth perspective therapy and decide to stay behind to minister to pilgrims sicker than themselves..
What yoke does Christ invite us to take upon ourselves? The yoke of Christ is the Gospel of Christ. The yoke of Christ is the Sermon on the Mount. Christ Himself says that this yoke is both easy and light. John the Apostle says that to keep the commandments is not burdensome. (1 John 5:3). Paul writes of the weight of glory that awaits us after some light suffering. (Romans 8: 18; 2 Corinthians 4: 17). 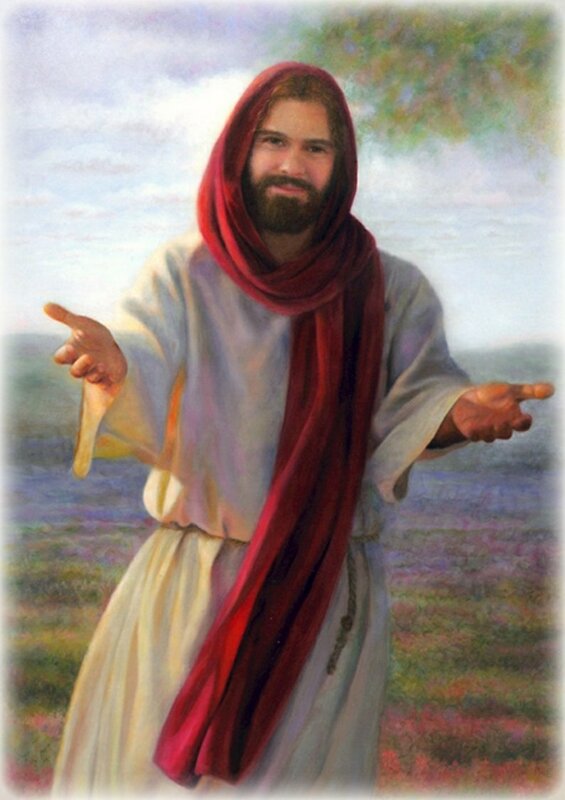 "Learn from me," pleads Christ. Christ is the Teacher and the Lesson. Learn to be with me. Learn to be like me. Happy Feast Day O Virgin of Guadalupe! 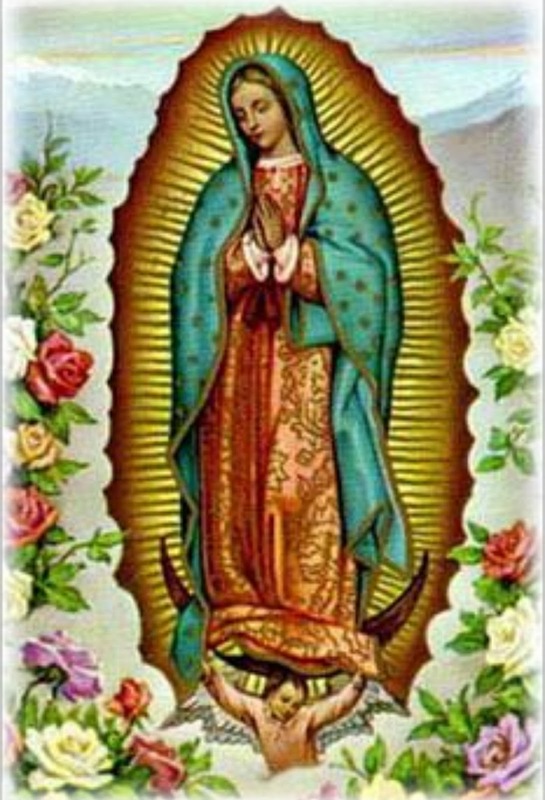 Today is the Feast of Our Lady of Guadalupe, Patroness of the Americas. Some might even object: You honor Mary too much! How will Mary's children respond? Not enough! I am with this group. 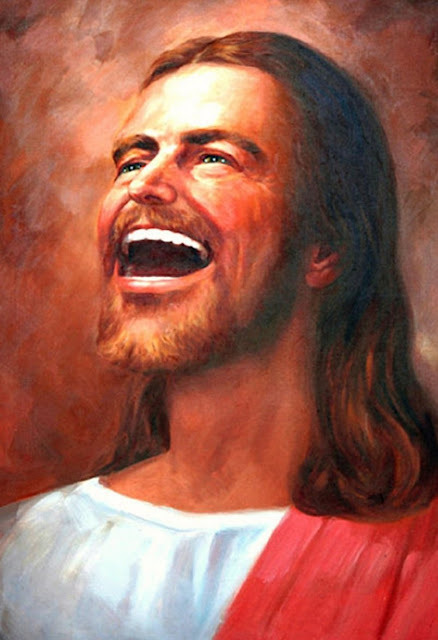 "Sing and rejoice, daughter Zion! Now, I am coming to dwell in your midst — oracle of the Lord. Many nations will bind themselves to the Lord on that day. 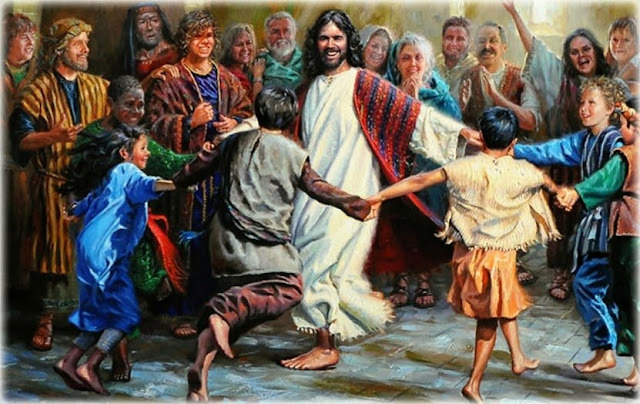 They will be my people, and I will dwell in your midst. Then you shall know that the Lord of hosts has sent me to you." (Zechariah 2: 14 - 15 NABRE). God spoke. Mary believed. Filled with the Holy Spirit, she predicted "All generations shall call me blessed." (Cf Luke 1: 48). True or false? Is your faith strong enough to be seen? "When he saw their faith, he said, “As for you, your sins are forgiven.” ( Luke 5: 20). What did Jesus see as their faith? 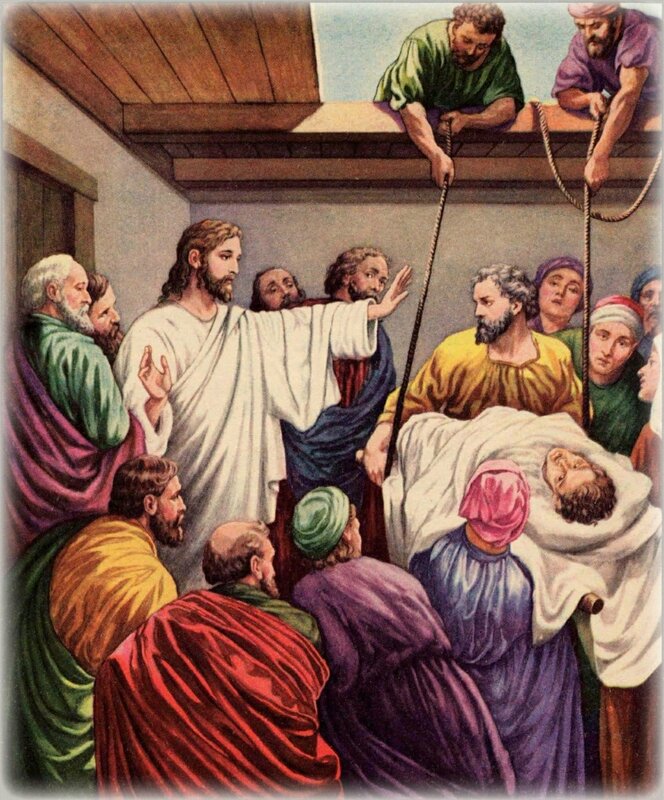 Although Jesus could see the heart and mind of every person and know what is in it, here let us say that Jesus saw the physical effort the paralyzed man and his friends made to get to Jesus. That is faith in action. Jesus is our full security for health, family peace, money, job and all our needs. What is paralyzing you today? Health, family problems, money, job, tools, food or your future? The paralyzed man had faith partners to lift him to the presence of Jesus. We all need prayer and faith partners to lift us up at the moment of our greatest need. One of the great teachings of the Church is of immense consolation to many Christians: the Communion of the Saints. Our prayer partners include the saints here on earth and those already in Heaven. I have probably over 30 such saints in Heaven whom I invoke every day to lift me up to God in my needs. Some people ask: why don't you ask God directly instead of going through a saint? The answer is simple. Of course you can ask God directly. But when you are in a desperate situation, you ask your pastor, prayer warriors, family and friends to help you urgently. Some of these people you ask will not remember to pray for you. But the saints in Heaven will never forget. The greatest reason for invoking the saints in Heaven is because the practice is in the Bible and it is sealed by the official Teaching of the Church. All you holy men and women in Heaven, pray for us in our struggles to get to where you are. Amen. John the Baptist is not one of the greatest but the GREATEST! make straight his paths." (Mark 1: 2 - 3). Who is this messenger? John the Baptist. What do we know about John? John was the son of promise of aged parents, Zechariah and Elizabeth. His father was a priest from the clan of Levi. This means that John was assured by birth the privileges of the upper middle class of the Jewish community. But John had a vocation announced by two Old Testament prophets, Isaiah 40: 1 - 5 and Malachi 3: 1. So John is a serious and important person in salvation history. How did John handle his mission? John made the wilderness his home and "wore clothing made of camel’s hair, with a leather belt around his waist, and he ate locusts and wild honey." (Mark 1: 6). You might wonder: Why this extreme austerity? This is to have the radical detachment and independence necessary for his mission. Jesus praised John as not one of the greatest but the greatest! (Matthew 11: 11; Luke 7: 28). 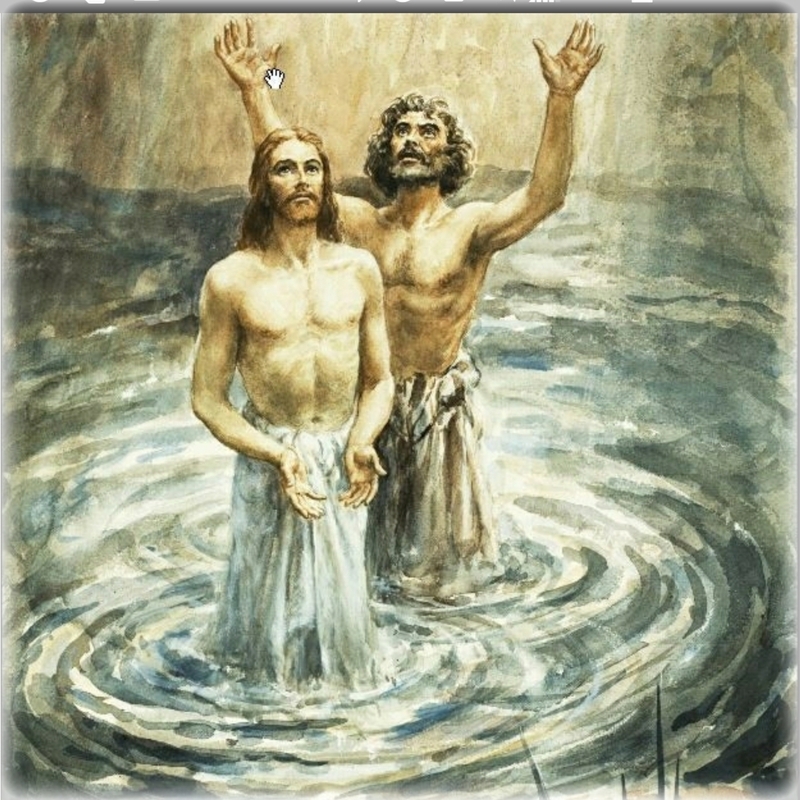 John the Baptizer has done his work and is gone. But the work of announcing the good news and glad tidings continue to this day. 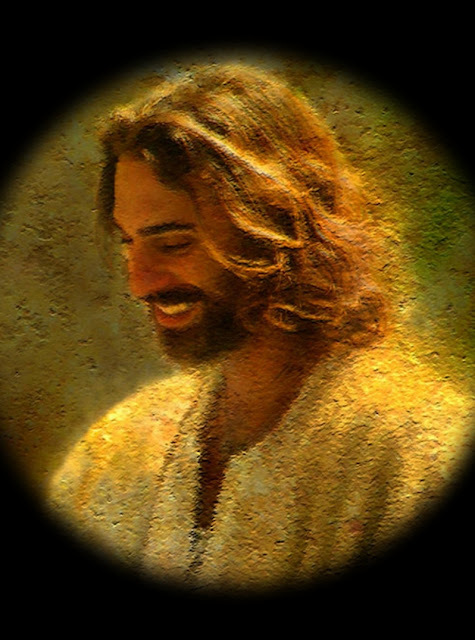 We have One Teacher: Christ the Lord! "No longer will your Teacher hide himself, but with your own eyes you shall see your Teacher, and your ears shall hear a word behind you: “This is the way; walk in it,” when you would turn to the right or the left." (Isaiah 30: 20 - 21). A teacher in Israel is synonymous with a prophet. "Where there is no vision, the people perish." (Proverbs 29: 18). Israel has known many days without teachers and prophets. "For many days Israel was without a teaching priest" (2 Chronicles 15: 3). The nation was able to compare the Before and the After experience. In our key Scripture for today (Isaiah 30: 20 - 21), God is promising a permanent Teacher, who will always be there. "He is the Spirit of truth. The world cannot accept him, because it neither sees him nor knows him. But you know him, for he lives with you and will be in you." (John 14: 17). Today we live in a world in an existential crisis of truth. In the Body of Christ, people ask "Where is the truth? What is the truth?" From the media and social media, and government media, we see more often than in the past mutual accusations of falsehood and lies. "Do not be called Rabbi, for you have one teacher, for the Christ is your only Teacher." (Matthew 23: 10). We have one Teacher, Jesus the Christ who teaches us through the indwelling Holy Spirit. Amen! The Solemnity of the Immaculate Conception - A Holyday of Obligation. for he has clothed me with a robe of salvation, and wrapped me in a mantle of justice, like a bride adorned with her jewels. (Isaiah 61: 10, Entrance Antiphon on the Solemnity of the Immaculate Conception). The Church worldwide celebrates today the Solemnity of the Immaculate Conception, a Holiday of Obligation. The Church applies Isaiah 61: 10 to the Blessed Virgin Mary. It was the gracious will of God to prepare a worthy dwelling for His Son Jesus. By God's prevenient grace, Mary was untouched by any stain of sin when she was conceived by her parents. She was preserved from the curse of Original Sin. This was accomplished by virtue of the vicarious death of Jesus the Christ which was foreseen by the Eternal Father. The Immaculate Conception is the patronal feast of the United States of America. Today therefore: No fasting or Advent penances . 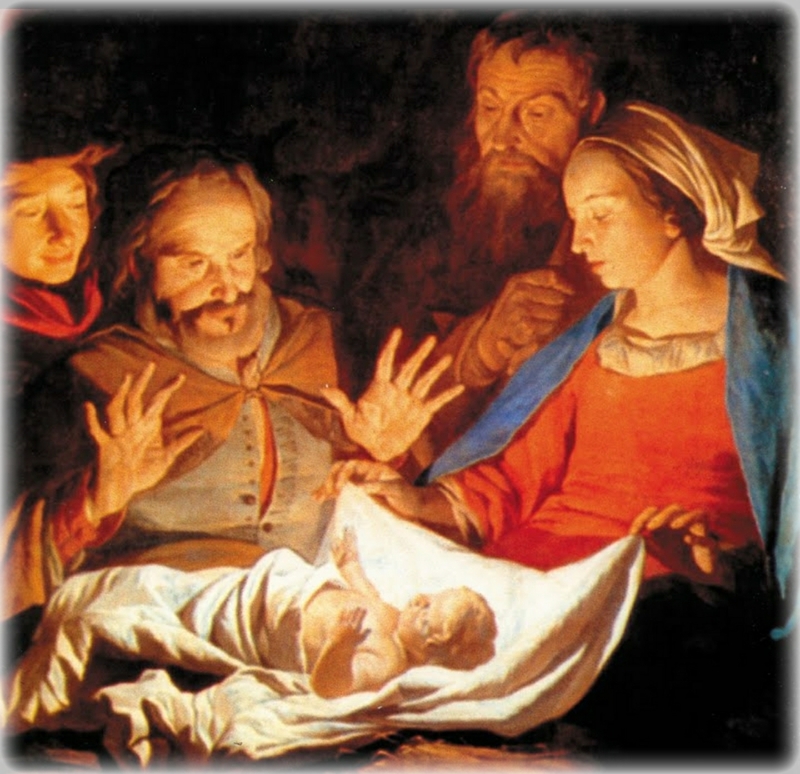 Let us rejoice and be glad as we celebrate one of the great mysteries of our salvation. Make Prayer a Special Gift for yourself this Advent. The Gospel acclamation today, Thursday in the First Week of Advent is direct in its message. Advent is a season of anticipation, expectation and waiting. When you expect something, as you grow in wisdom, you learn to wait for it. When I was an inexperienced air traveler. I arrived at the airport at the stated time expecting the flight to leave exactly at the stated departure time. Needless to say, it doesn't happen always. I would be frustrated. When I became more experienced, I planned to wait. I bring along some work or books. The Gospel intimates us that there will be delays in the Second Coming of Jesus. It will come without warning like a thief in the night or spring open like a trap. "Seek the Lord while he may be found; call him while he is near." (Isaiah 55: 6). It is like handing you a cheat sheet for an exam. Use it, you pass. #1. Prayer: If you don't do the Liturgy of the Hours already, this is a good time to start. The Liturgy of the Hours is found in LAUDATE and is also available in other apps in all platforms. Prayer is a vital necessity. When you pray with the Church using the Liturgy of the hours (about 10 minutes), you participate in a prayer used by millions all over the world. You are comforted to know that this Prayer goes to the very beginning of the Church. Jesus most probably prayed the Liturgy of the Hours. All the clergy and all religious are bound to this prayer by Church. Today many lay men and women pray it. so that at the coming of Christ Your Son we may be found worthy of the banquet of eternal life and merit to receive heavenly nourishment from his hands. Who lives and reigns with you in the unity of the Holy Spirit, one God, for ever and ever." (Collect Wednesday, 1st Week of Advent). 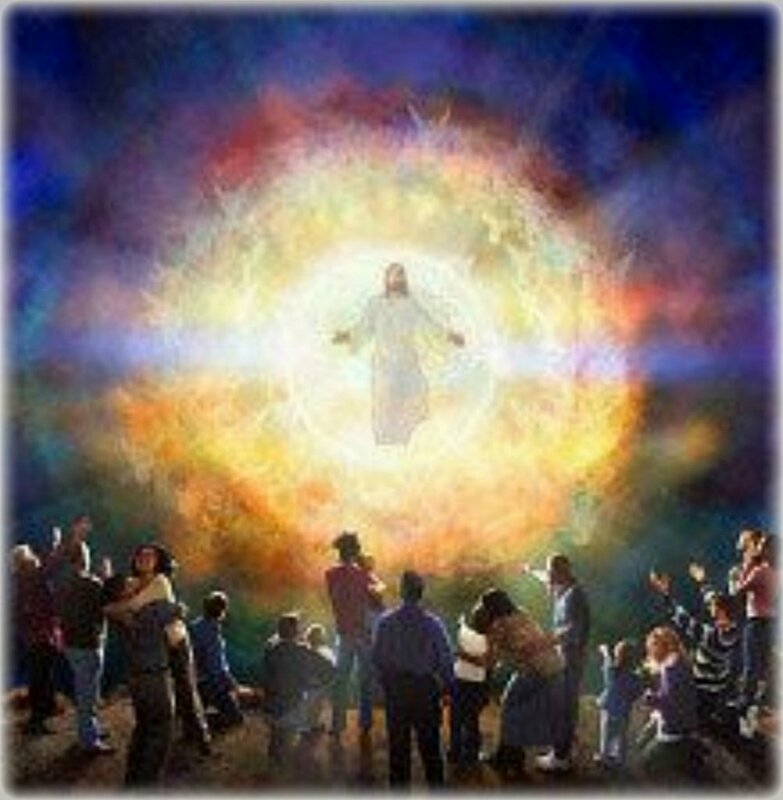 "Jesus rejoiced in the Holy Spirit and said, “I give you praise, Father, Lord of heaven and earth, for although you have hidden these things from the wise and the learned you have revealed them to the childlike. Yes, Father, such has been your gracious will." (Luke 10: 21 RM). I cannot read the above word of God without rejoicing in how it was fulfilled in the life of St Therèse of the Child Jesus, also called the Little Flower. I just finished a reread of her autobiography. St Therèse entered the Carmelite Convent at the age of 15, when most girls today have not graduated from high school. She died at the tender age of 24 when most people have not finished college. Her autobiography, THE STORY OF A SOUL was the only work she produced. That was enough to make her one of the 35 Doctors of the Church in the 2017 years of Church History. Amazing, you might say. But truly the most wise and powerful Divine Providence at work in human history. Lord Jesus, no need to come to my house. You can heal my servant right here, right now. Lord, heal my servant, right here, right now. The Roman Centurion pleaded with Jesus. I had been a Christian for many years before I understood what faith means. I remember that the first time I came to realize that faith means believing or trusting in what God says to us, I was surprised. It sounded so simple. My immediate reaction to this definition of faith was: “Would anybody doubt what God says?” In fact, this is what we do most of the time. What gave the Centurion such an elevated faith? He applied his experiences as a senior Roman officer to understand how God's power works. "Jesus said to His Disciples: "Be watchful! Be alert! You do not know when the time will come." (Mark 13: 33). 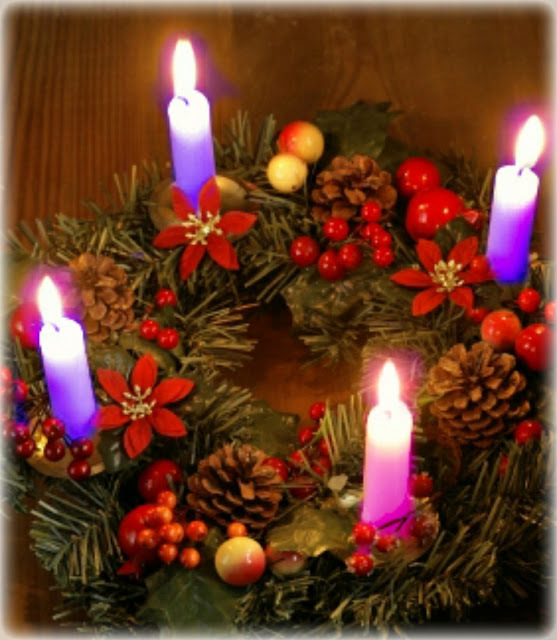 Today is the First Sunday of Advent. The above Scripture is the core message of the Advent Season. How do we watch? How do we keep alert? #1. By spending time in prayer. Prayer is not just a vital necessity, it is the cause and source of grace and mercy. #2. By spending time in the word of God. Sacred Scripture is the Manual written by God for a purposeful and successful living. #3. By worshiping God in a Christian Community and Assembly on Sunday. "God is faithful, and by him you were called to fellowship with his Son, Jesus Christ our Lord." (1 Corinthians 1: 9). Don't allow the day to catch you by surprise. Be prepared. We are in the season of Thanksgiving, Christmas and New Year! It is one big celebration. Yet the Church gives us the above Scripture always at this time. Why? Today is the last day of the Church Year. The Church starts a New Year on Sunday with the Beginning of Advent. Advent is the Season we wait for the Coming of the Lord. Two Comings of Jesus are always in our mind. The first Coming of Jesus as a poor child born in a Manger in Bethlehem. The second Coming is His Coming in majesty at the end of the ages to judge the world. Just as it is impossible to be unaware of a brilliant sunrise ☀, so will it be impossible to mistake the Second Coming of Jesus. His Second Coming will be thousands of times more dazzling than the most brilliant sunrise  you have ever experienced. This season of joy and festivities cause anxiety to some people. Instead of trusting God and enjoying the present moment, they are filled with anxieties about the future. Some others see the season as a time of indulgence in sinful and carnal pleasures. Scripture warns that the Second Coming of Jesus the Christ will catch them unprepared as a trap catches a prey. "Be vigilant at all times and pray that you have the strength to escape the tribulations that are imminent and to stand before the Son of Man.” (Luke 21: 36). First Friday in December 2017. December 1st, 2017 First Friday in December. 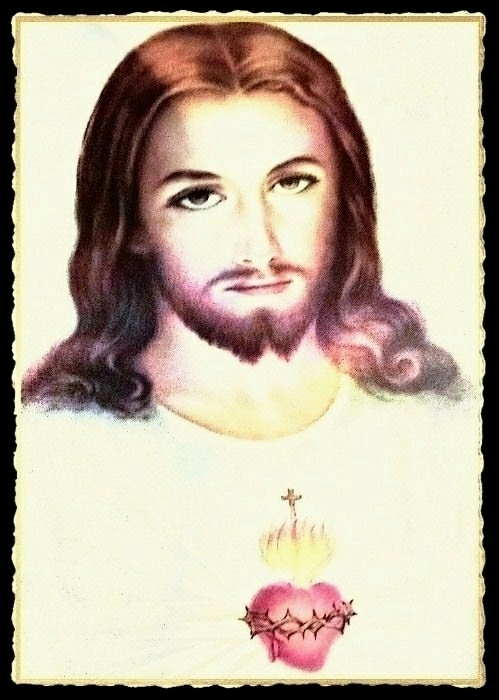 Jesus promised 12 special favors to all those who will honor His Sacred Heart especially on the First Friday of every month. In the 12th month of the year, we look at Promise #12. "I was dead but now I am alive for ever." (Revelation 1: 18). Many years ago, I was in a hospital ready for death. They called a priest, whom I chose and he came promptly for the Last Rites. He heard my confession and administered the Viaticum. I was peaceful as he bid me goodbye and left the room for his work. I recovered after a short time. Now, when I read the 12th Promise, I remember this incident and thanked Jesus for His faithfulness. Jesus knew that I would not die then, but He wanted to impress upon that He is truly the Faithful Witness. Honor the Sacred Heart of Jesus on Friday, December 1st. Jesus Christ is in His word. That is why it will never pass away. "Heaven and earth will pass away, but my words will not pass away." (Luke 21: 33). This is an amazing promise for the word of God. Everlasting stability and infinite staying power. One of the attributes of God I love is His staunch faithfulness. Always faithful to His word, His promises and all His decrees. Semper Fidelis! "The Word of God, which is the power of God for salvation to everyone who has faith, is set forth and displays its power in a most wonderful way in the writings of the New Testament" which hand on the ultimate truth of God's Revelation. Their central object is Jesus Christ, God's incarnate Son: his acts, teachings, Passion and glorification, and his Church's beginnings under the Spirit's guidance." (CCC #124). The word of God is ultimately and finally Jesus Christ Himself. He is the Truth, the Way and the Life. Jesus Christ is in His word. This is why it will never pass away. Praise, honor and glory be to You, LORD Jesus Christ, Word of God, Son of the Eternal Father. Amen! Is Jesus calling you as He called Peter and Andrew? "As he was walking by the Sea of Galilee, he saw two brothers, Simon who is called Peter, and his brother Andrew, casting a net into the sea; they were fishermen. He said to them, “Come after me, and I will make you fishers of men.” At once they left their nets and followed him." (Matthew 4: 18 - 20). 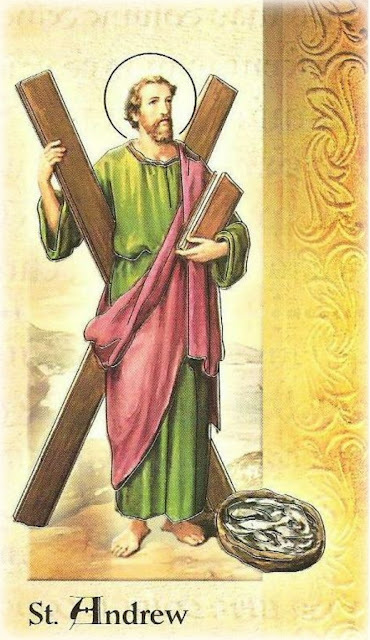 Today is the Feast of St Andrew the Apostle. Jesus caught Andrew and his brother Peter as they were catching fish and promoted them beyond their dreams to be fishers of men. "And he gave some as apostles, others as prophets, others as evangelists, others as pastors and teachers, to equip the holy ones for the work of ministry, for building up the body of Christ." (Ephesians 4: 11 - 12). Is Jesus calling you to use your talent, training and experience to build up His Body? There is no unemployment in the Vineyard of the Lord. Jesus is hiring all the time. “How beautiful are the feet of those who bring [the] good news!” (Romans 10: 15). Those beautiful feet may be yours. “Their voice has gone forth to all the earth, and their words to the ends of the world.” (Romans 10: 18). "Why do you stand here idle all day?" (Matthew 20: 6). "They answered, ‘Because no one has hired us.’ He said to them, ‘You too go into my vineyard." (Matthew 20: 7). Henry the 8th executed Saints John Fisher and Thomas More. The rest of the English Bishops ran for their lives. Persecution, small, big and unto death comes with the territory of being Christian. 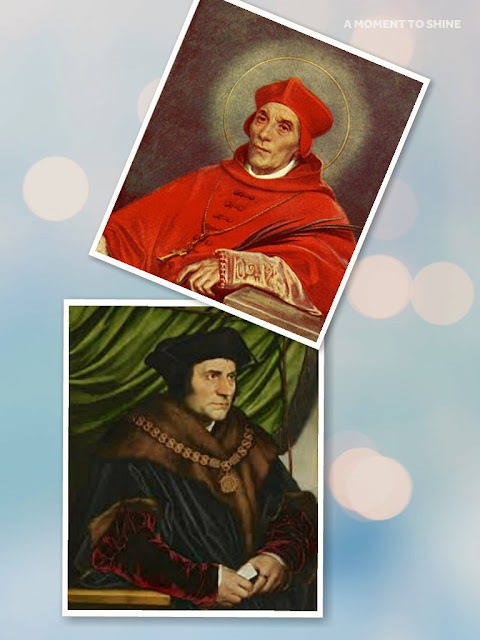 In 1534, St Thomas More opposed King Henry the 8th over his self declaration as head of the Church in England. All the English hierarchy, that is all the Bishops of England out of fear of death succumbed to the threat of Henry the 8th except for Bishop St John Fisher and St Thomas More who was the Lord Chancellor of England. Both were executed. Both were canonized as saints. This is what Jesus is saying in today's Daily Bible Verse. Persecution can come suddenly. As in the case of England in the 1530s, how the mighty may fall. "By your perseverance you will secure your lives." (Luke 21: 19). Daniel foretold the future of the Church. "But the stone that struck the statue became a great mountain and filled the whole earth." (Daniel 2: 35). 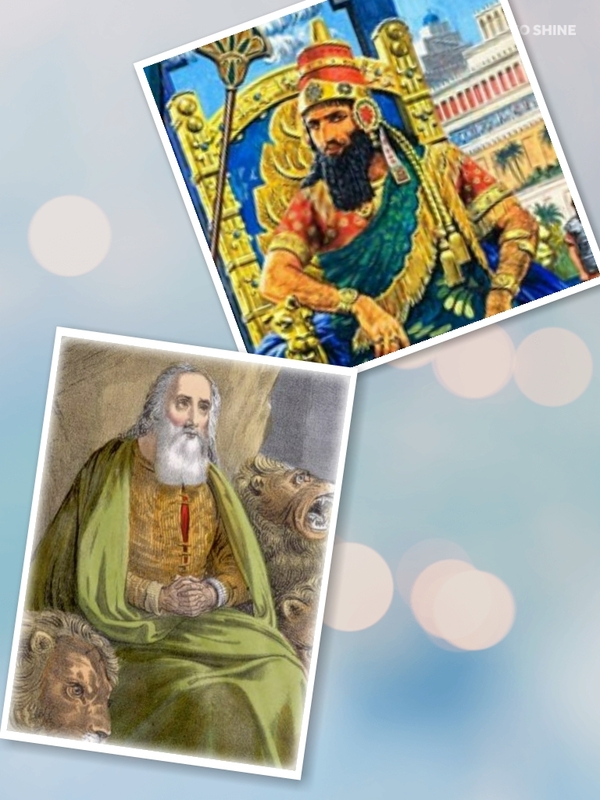 Daniel interpreted to King Nebuchadnezzar the course of future events which was revealed to the king in a dream. 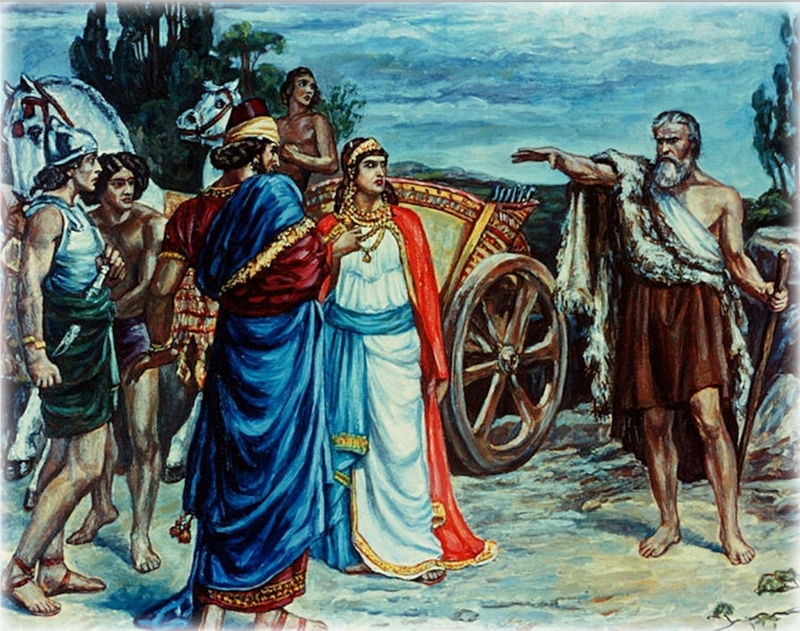 Throughout the Old Testament, God's plan for the Church was revealed in stages using different communications techniques. King Nebuchadnezzar had a mysterious vision of various political powers vying for supremacy. One power displacing the other and occupying center stage for a brief moment until a mysterious stone fell out of heaven and shattered the myth of earthly powers. This stone is the Church. No historian will deny the enduring power of the Church. "In the lifetime of those kings the God of heaven will set up a kingdom that shall never be destroyed or delivered up to another people; rather, it shall break in pieces all these kingdoms and put an end to them, and it shall stand forever." (Daniel 2: 44). Christians rejoice in this truth: The Church of God shall endure forever and ever. "The great God has revealed to the king what shall be in the future; this is exactly what you dreamed, and its meaning is sure.” (Daniel 2: 45). "Remain faithful till death, and I will give you the crown of life." (Revelation 2: 10). This poor widow gave everything she had because she trusted God to remain faithful. "When he[Jesus] looked up he saw some wealthy people putting their offerings into the treasury and he noticed a poor widow putting in two small coins." She offered all that she had. (Luke 21: 1 - 2, 4). 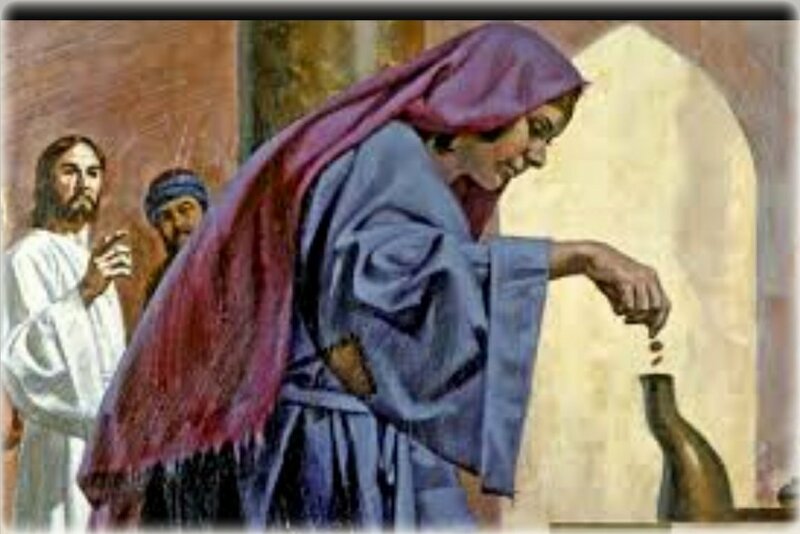 Today we consider the story of the poor widow and her offertory contribution. Have you noticed that God has a preferential option for widows? What does Sacred Scriptures teach us about how God regards widows? "For the Lord, your God, is the God of gods, the Lord of lords, the great God, mighty and awesome, who has no favorites, accepts no bribes, who executes justice for the orphan and the widow, and loves the resident alien, giving them food and clothing." (Deuteronomy 10: 17 - 18). "You shall not wrong any widow or orphan. If ever you wrong them and they cry out to me, I will surely listen to their cry." (Exodus 22: 21 - 22). "The Levite who has no hereditary portion with you, and also the resident alien, the orphan and the widow within your gates, may come and eat and be satisfied; so that the Lord, your God, may bless you in all that you undertake." (Deuteronomy 14: 29). We have seen how the Lord cares so tenderly for the widow. Is it surprising to see that the poor widow in today's Gospel is aware of this from her life experiences and shows her gratitude and trust in a God who has provided all her necessities since her husband died. "Fear is useless; what is needed is trust." (Mark 5: 36; Luke 8: 50). The Lord our King is a merciful Judge. Sunday, November 26, is the Solemnity of Jesus Christ, King of the Universe. Israel has always recognized God as their King and Master. "The Lord is King for ever and ever." Psalm 10: 16). "For the Lord Most High is awesome, the great King over all the earth." (Psalm 47: 2). "For the Lord is our judge, the Lord is our law Giver, the Lord is our king; it is he who will save us." (Isaiah 33: 22). 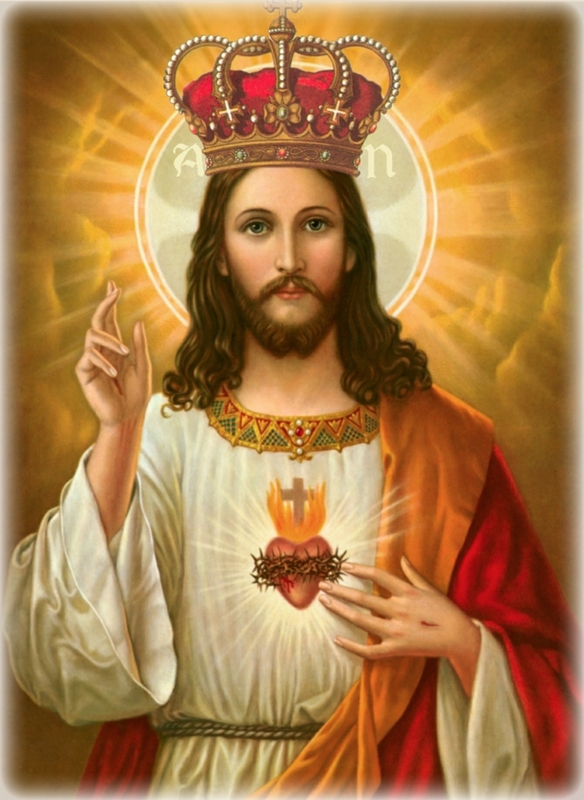 What type of King is Jesus the Lord? Our King is a Shepherd King but infinitely more tender than the human Shepherd. "The Lord is my shepherd; there is nothing I lack. In green pastures he makes me lie down; to still waters he leads me." (Psalm 23: 1 - 2). This is the promise of our King Shepherd. Let us receive this promise with great faith and joy. We celebrate the Resurrection of Jesus Christ every Sunday. Sunday is a rehearsal of eternal life. "Some Sadducees, those who deny that there is a resurrection, came forward and put this question to him" about the absurdity of the idea of the Resurrection of the dead. "Jesus said to them, “The children of this age marry and are given in marriage; but those who are deemed worthy to attain to the coming age and to the resurrection of the dead neither marry nor are given in marriage. They can no longer die, for they are like angels; and they are the children of God because they are the ones who will rise." (Luke 20: 34 - 36). Jesus provided a definitive proof of the Resurrection through His own death and Resurrection. We celebrate this every Sunday. 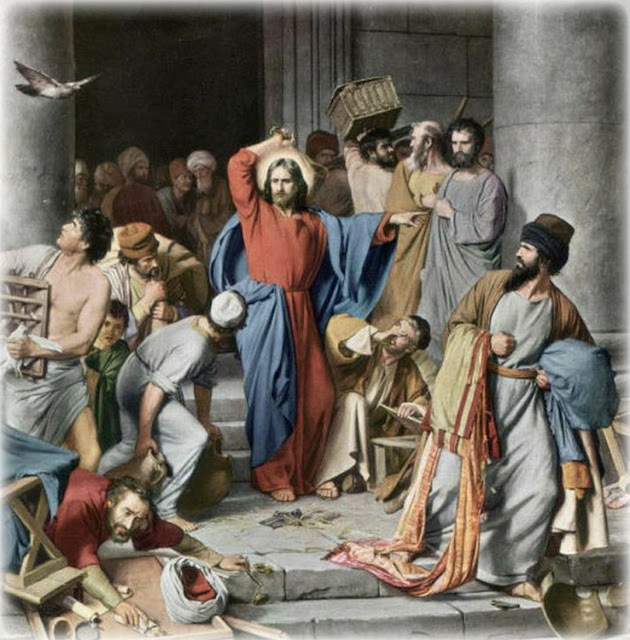 "Then Jesus entered the temple area and proceeded to drive out those who were selling things, saying to them, “It is written, ‘My house shall be a house of prayer, but you have made it a den of thieves." 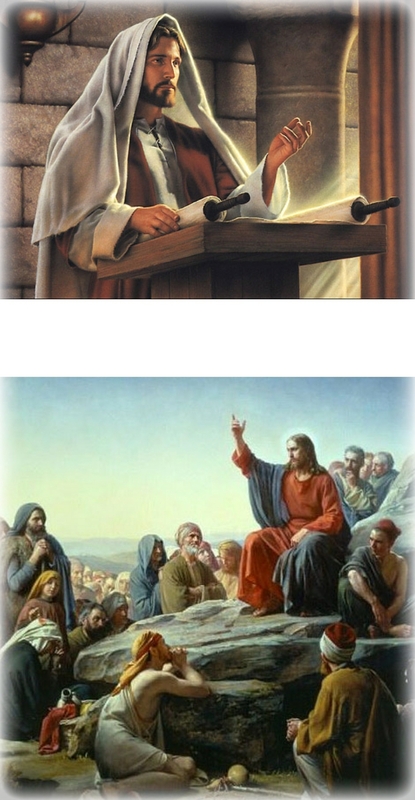 (Luke 19: 45 - 46). Why is the Temple so important in God's plan of salvation? Why is Jesus so angry about the desecration of the Temple? Religion like the government is an incarnate reality. It exists in time and space not in the air as intangible. It exists for men and women with flesh and blood. God ordered Moses to build a sacred space where He would meet with His people. He gave concrete and precise instructions for the construction of the House. The sacred meeting Tent later evolved to be a Temple when the Israelites became domesticated in the Promised Land. The Temple is conceived to be a dwelling of God on earth. Today, the Temple is the Body of Christ, the Dwelling Place of the Holy Spirit. It is also seen as the individual Christian. Last but not the least, it is the brick and mortar Church where the Blessed Sacrament is reposed. 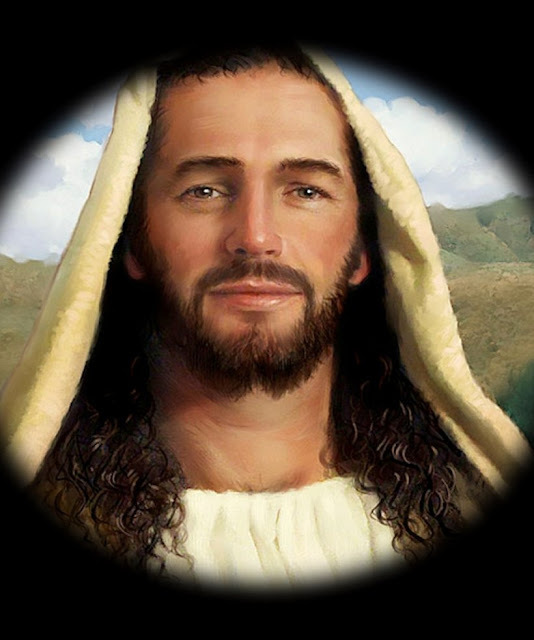 Jesus Christ defended the integrity of the the Temple as many prophets did with their blood. Do you honor the Church as the Dwelling Place of God? God has provided all our needs as He promised. Let us now give thanks to Him with Joy. The Bible is filled with Scriptures on giving thanks. The Lord Himself commands us to give thanks always. What a great uplift to have one Day in the Year devoted to Thanksgiving. 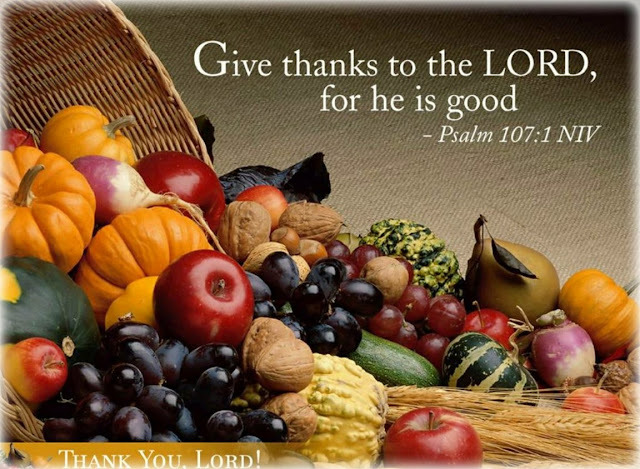 Give thanks to the Lord (1 Chronicles 16: 8, 34; Psalm 97: 12; 100: 4; 105: 1; Isaiah 12: 4). Come before your God with thanksgiving (Psalm 95: 2). Offer a sacrifice of thanksgiving (Psalm 50: 14; 107: 22). Thanksgiving will please the Lord better than an ox (Psalm 69: 30 - 1). He who offers a sacrifice of thanksgiving honors Me (Psalm 50: 23). Why give thanks to the Lord? "You will be enriched in every way so that you can be generous on every occasion, and through us your generosity will result in thanksgiving to God." (2 Corinthians 9: 11). "Do not be anxious about anything, but in every situation, by prayer and petition, with thanksgiving, present your requests to God. And the peace of God, which transcends all understanding, will guard your hearts and your minds in Christ Jesus." (Philippians 4: 6 - 7). I have been richly blessed in 2017. I hope you can say the same. Happy and Joyful Thanksgiving Family. What are you doing with the talents God has entrusted you? At the end of the Parable of the Ten Gold Coins, Jesus said the above. 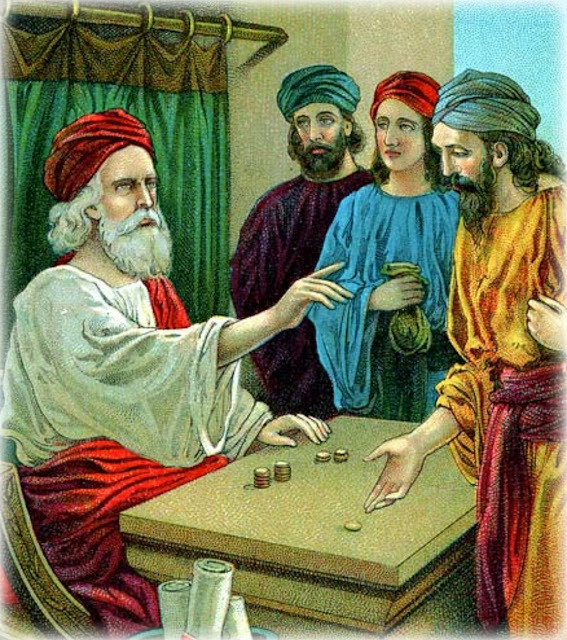 Ten servants were given each, one gold coin to trade with. The one who made the most of the opportunity received ten cities in compensation addition to the gold coin of the useless servant who did nothing with his talent. Jesus teaches us again that we have all received tremendous gifts from our Heavenly Father. Every Christian becomes the adopted child of God through Baptism. This privilege comes automatically with the supernatural gifts of Faith, Hope and Love. Every child of God has the opportunity to develop these gifts. As you develop them, they grow and you become richer in Faith, Hope and Love. As you fail to use and grow your talents, they atrophy and may die. Open the door of your house for Jesus and salvation may enter your house today. 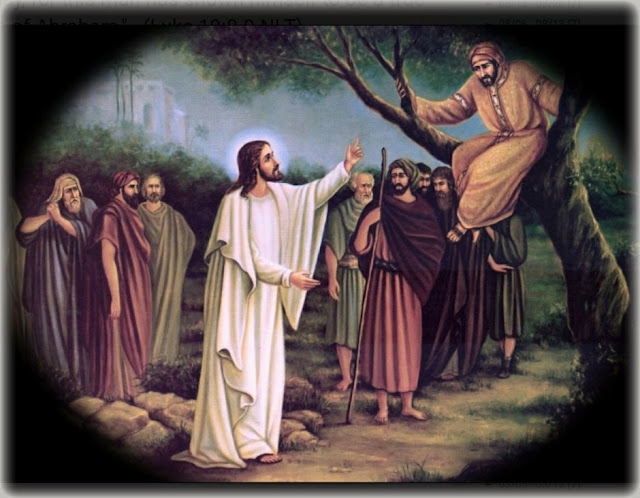 Zacchaeus I want to be your guest today. Zach was an important CEO of a tax collection company for the the Romans. Something like a Director of the IRS. He was very wealthy and his wealth, considered ill gotten attracted animosities to him. People are convicted every day of malicious fraud by our courts every day. How many have volunteered to give back the loot? Some of us have the opportunity to receive Jesus frequently in Holy Communion or in His word. Do you receive Him with joy? "Today salvation has come to this house." (Luke 19: 9) What a mighty reward for Zach and his family. Do not let your heart grow lukewarm. Pray for the grace of joy and enthusiasm. Ask boldly. Ask with faith and you will receive. 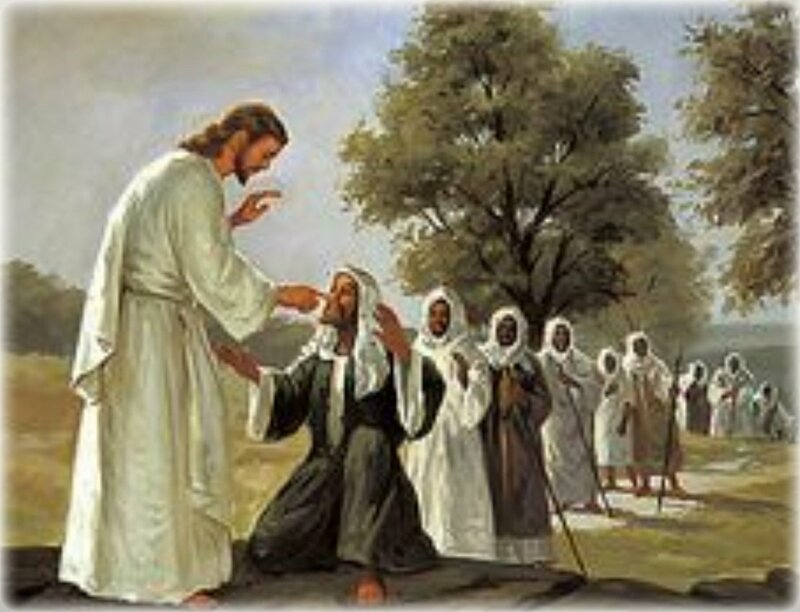 Bartimaeus, the blind beggar sitting by the roadside asked for the cause of the unusual commotion. Those who are well and have no need for doctor may never understand your pain or situation. 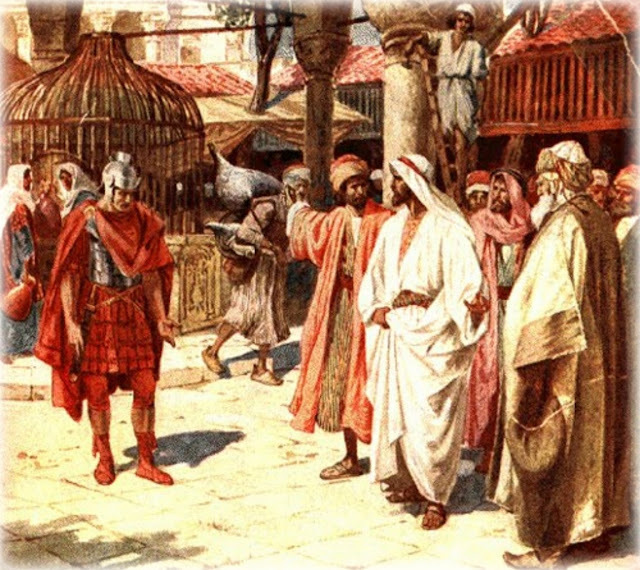 Two lessons from the encounter of Bartimaeus and Jesus. #1. Come to Jesus with deep faith, which means simply that you believe that He is God and that nothing is impossible for Him. Believe too that nothing is too marvelous for Jesus to do for you. #2. Be precise about your need or desire. “Lord, please let me see.” "Lord I need a job desperately and urgently." "Lord I need a partner for life." "Lord I am dying of pain. Heal me now." "Amen, I say to you: Whatever you ask in prayer, believe that you will receive, and it shall be given to you, says the Lord." (Mark 11: 23 - 24).